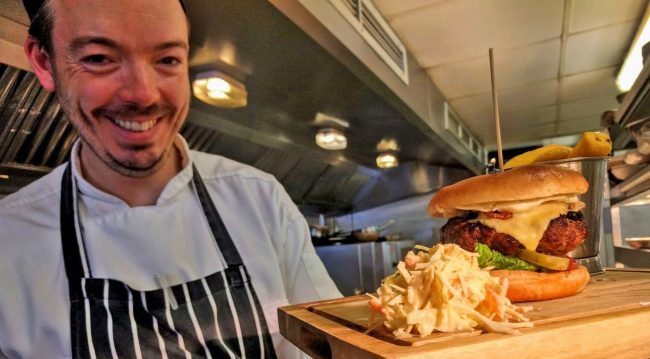 Did you know that Head Chef Adam Sullens, and his incredibly hard-working team, between them are cooking over 1,000 meals a week for our customers! With an ethos of designing fresh, local, seasonal foods that inspire and delight, Chef Adam continues to impress with his latest Summer Menu. “Smokey & The Bandit… an absolute classic of a movie, which totally captured me from the age of 10 and has never faded! I am a crazy lover of fast cars, which is perhaps where the original love of this movie came from“. What is your favourite supper? “If the sun is shining it would always be an ice cold Spanish beer (Cerveza). Spain is my second home and when the sun shines it reminds me of here“. “I have always wanted to be a chef, even as a little boy. Mainly because my father was a chef and I would be in awe of his skill and passion. Growing up around food and always coming home into a warm kitchen where something is often bubbling away provided me with a huge sense of security“. Who is your favourite celebrity chef? “Whilst he’s less in the limelight now, Gary Rhodes has always been a chef that I’ve enjoyed following. He believes in staple British classics ‘with a twist’ and was one of the early chefs who really utilised his opportunities to build an empire of businesses“. “Absolutely! 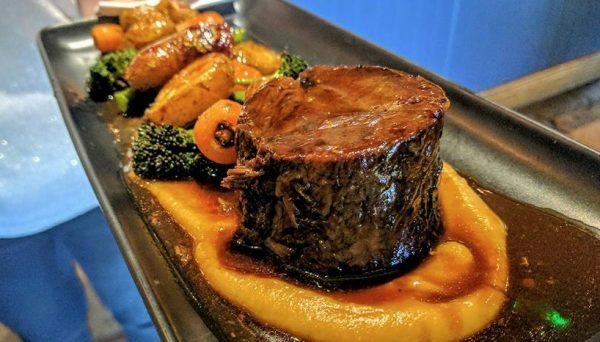 Braised feather blade of Surrey beef, potato and parsnip puree, honey-roasted heritage carrots, crispy shallots and madeira jus… it’s delicious and even more so with a delicious full-bodied glass of red wine“. Tell us something about you that not many people know? “I used to be a florist! Growing up, in between working in the kitchens and living in Spain, I spent a year as a florist and honing my skills in floral design“. Adam can often be found in the kitchens, or working late into the night on new ideas for future dishes. 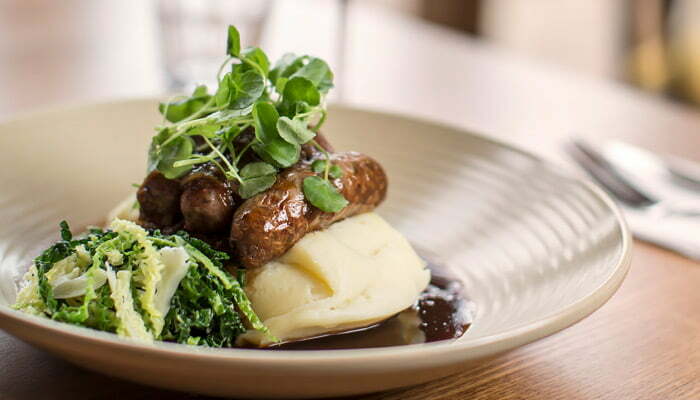 If you want to try out his team’s food, book online now and see for yourself why The Queen’s Head food is so popular. A regularly changing set menu, available Monday to Thursday lunchtimes where you can enjoy two courses for £14.95 or three courses for £18.95. 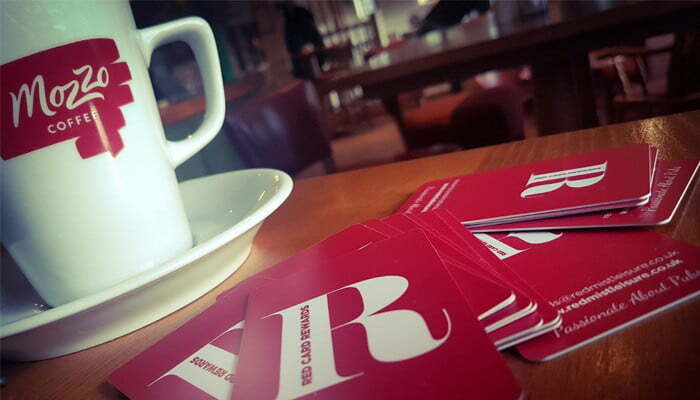 We like to reward customers for their loyalty, so sign up to our reward card today and we’ll give you a £10 voucher when you complete registration. 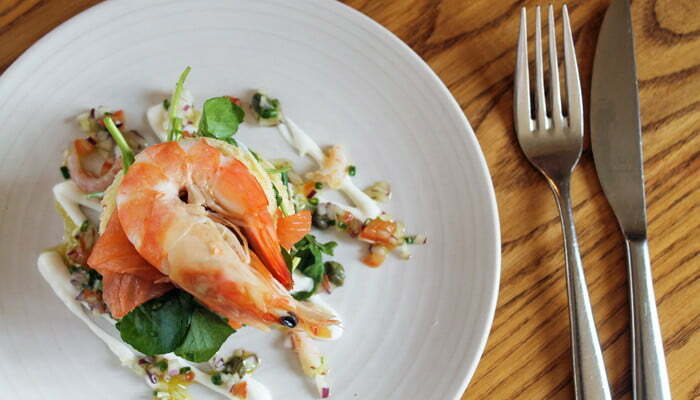 We love nothing more than creating classic dishes and unique menus comprised of the very best, local ingredients. Subscribe to our e-newsletter to receive updates on our special offers and news at The Queens Head.